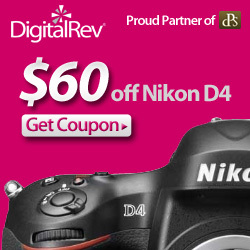 Up for grabs in this SnapnDeal is $60 off a Nikon D4 from our fabulous friends at Digital Rev. As with all our previous digital rev deals, they’ve set up a special page to take advantage of this offer. 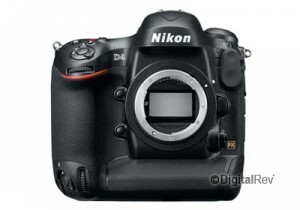 The Nikon D4 DSLR. 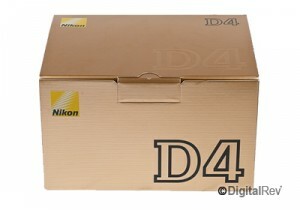 Enter the new flagship of Nikon’s D-SLR lineup: D4. Engineered for professionals, D4 strikes an ideal balance between resolution, sensor size, image processing and ISO range. Its newly designed 16.2 megapixels FX-format sensor and EXPEED3 processor enable image capture up to 10 fps with full AE/AF performance and Full 1080p HD video. Combine that with cutting-edge metering and AF systems, intelligently designed controls, an ultra-rugged body and multiple connectivity options, and D4 liberates the world’s top-notch photographers and multimedia artists like never before. 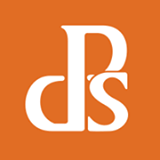 DigitalRev is an Online Camera Store that offers an extensive range of photographic products from compact cameras to DSLRs and lenses as well as a wide range of photographic related accessories. DigitalRev provides a trusted eCommerce platform allowing you to trace your orders’ status at anytime along with their experienced customer service team to assist you during your shopping. DigitalRev’s 12 month local warranty aims to protect you and your purchases by allowing you to get repairs and services done locally, at your convenience. These are all extremely important considerations when it comes to buying what might be your biggest investment in your photography. This deal is good for 1 week only. If you’ve been dreaming about owning the Nikon D4, now’s your chance.